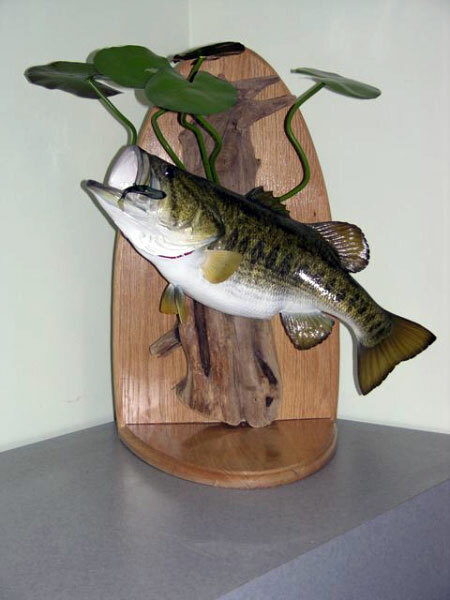 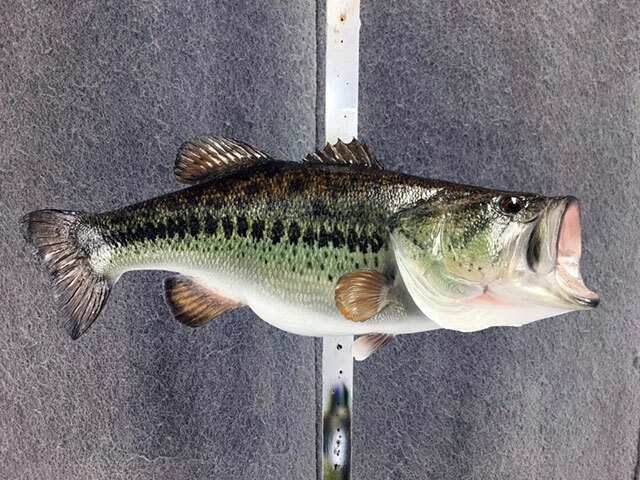 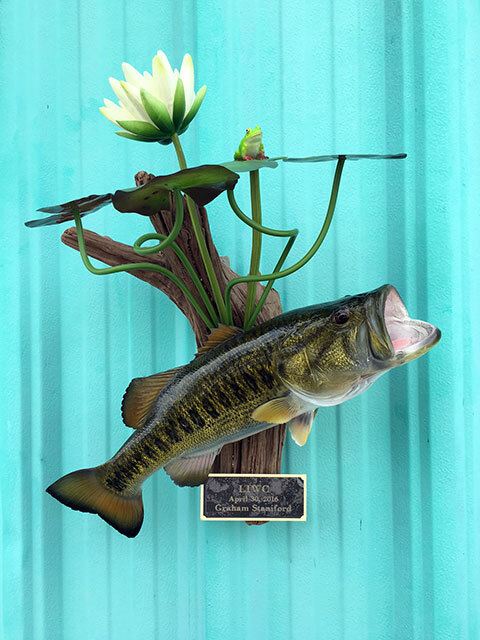 Bass mounts and more specifically largemouth bass mounts are one of our specialties at New Wave Taxidermy. 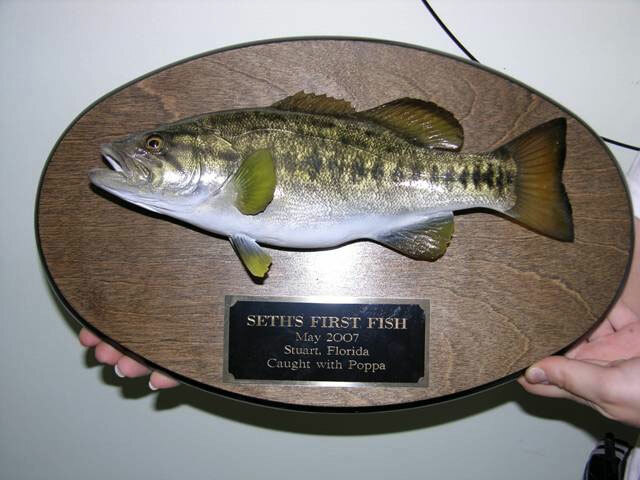 Their smallmouth relatives are also a specialty of ours, but then again all fish are specialties of ours. 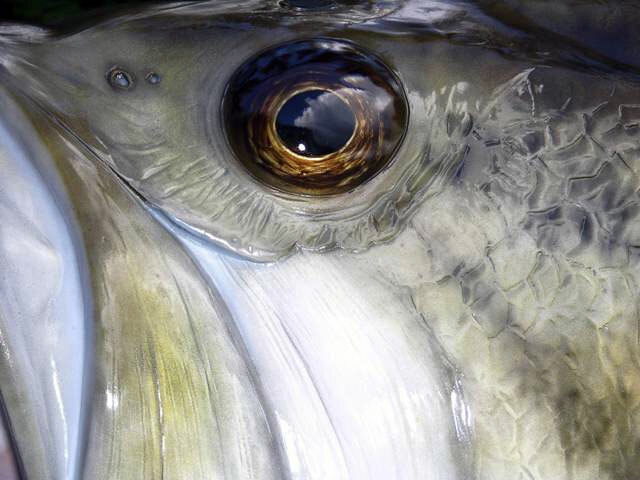 All of our fish are handcrafted in Stuart, Florida and have been for more than 40 years. 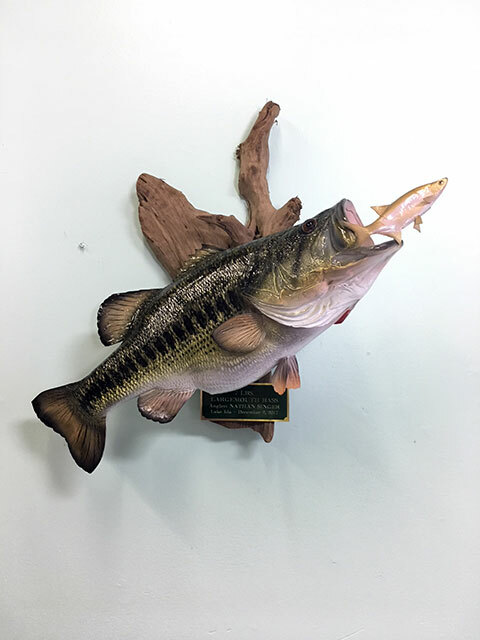 Please take a moment and view some of our work below. 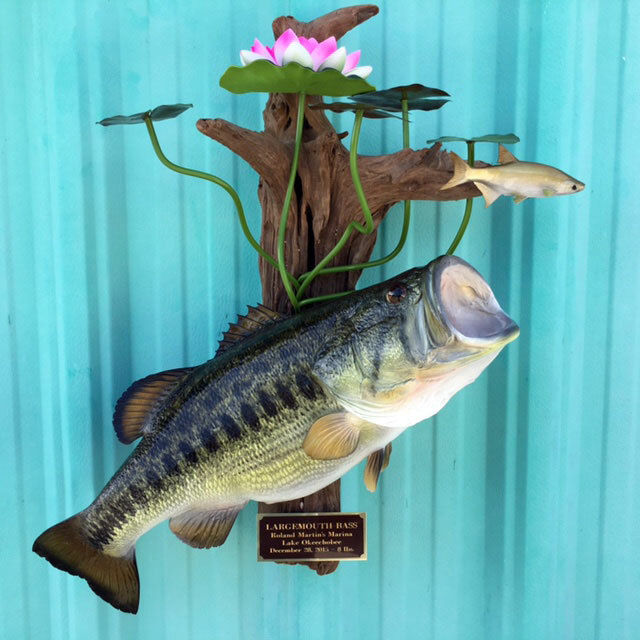 Should you have any questions don’t hesitate to contact us by phone during regular business hours or by the form on our contact page. 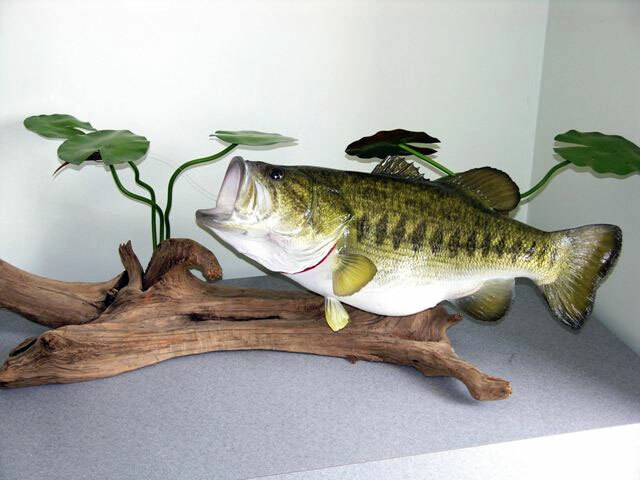 Bass fishing is hugely popular and is now a billion dollar industry. 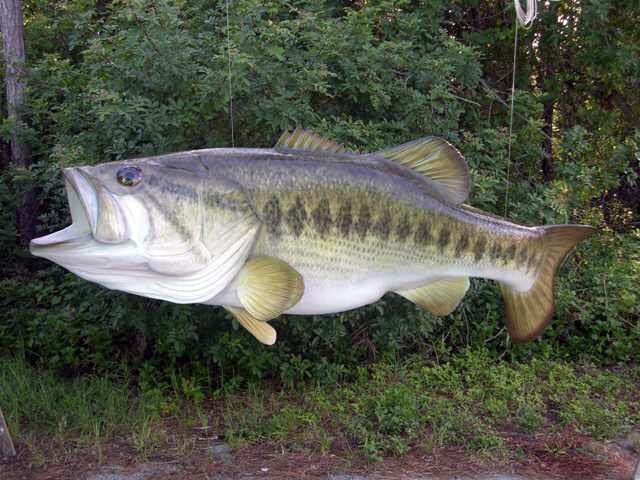 In America alone, there are more than 15 million bass fisherman. 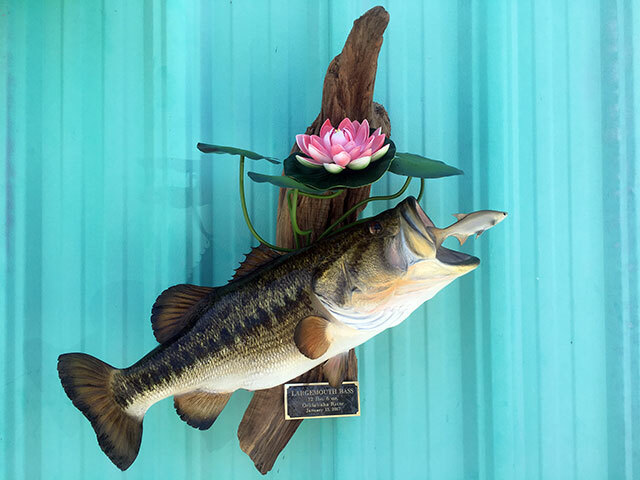 With bass mounts in such high demand, it’s no wonder why we claim them to be a specialty of ours… we’ve created so many amazing pieces for so many amazing fishermen over the years. 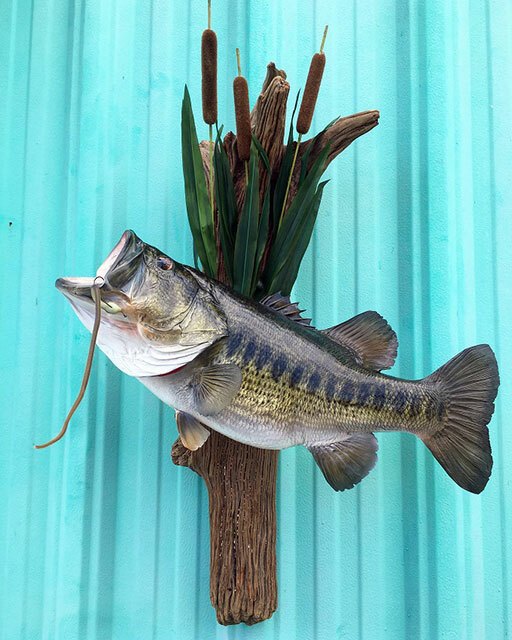 If you have any questions please don’t hesitate to reach out to us during our business hours listed at the bottom of the page. 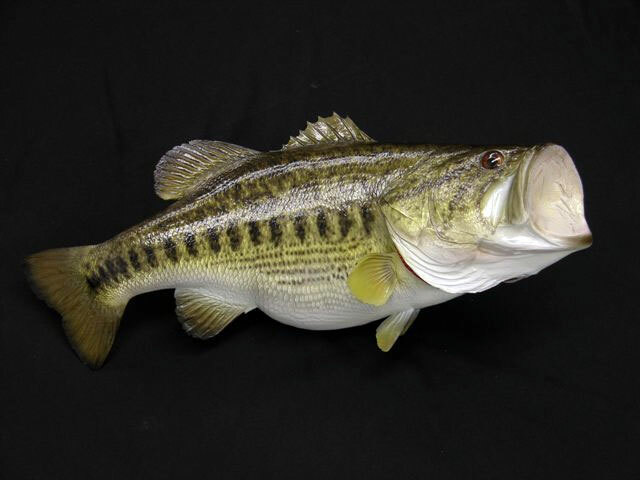 The largemouth bass is the state fish of Georgia and Mississippi, official freshwater fish of Alabama and Florida, and the official sport fish of Tennessee. 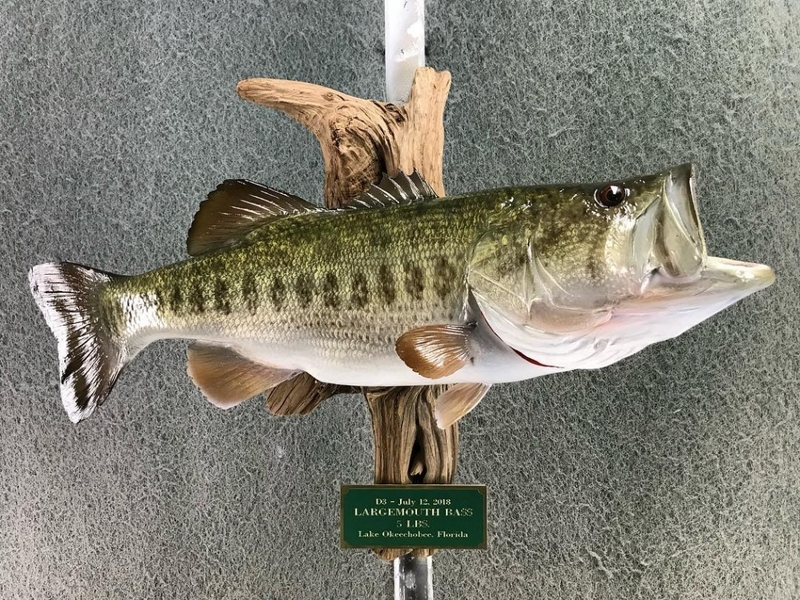 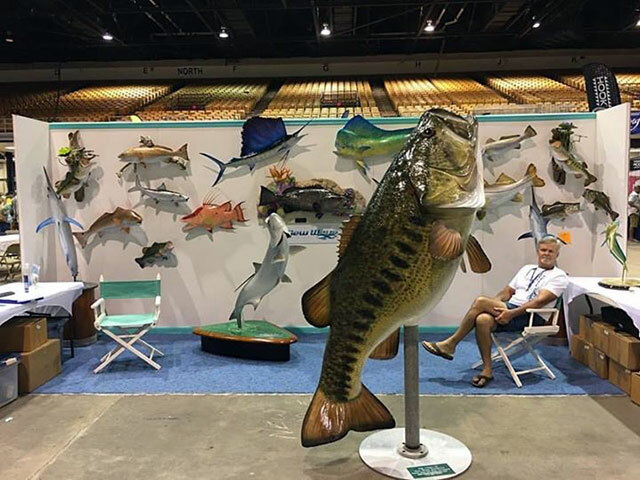 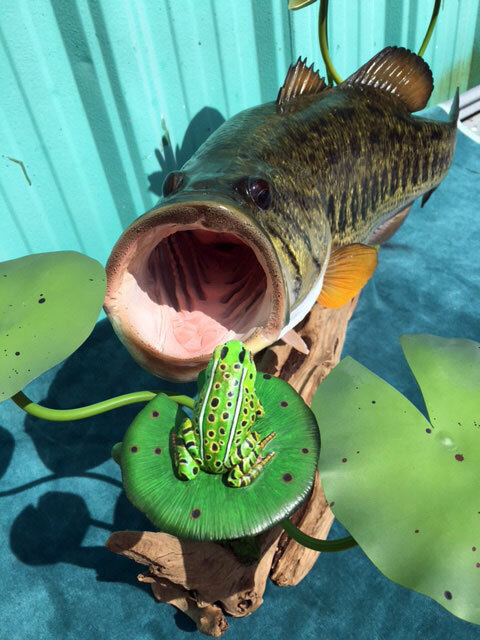 The largemouth bass has many aliases: widemouth bass, Florida bass, black bass, bigmouth bass, bucketmouth bass, green bass, green trout, southern largemouth and northern largemouth. 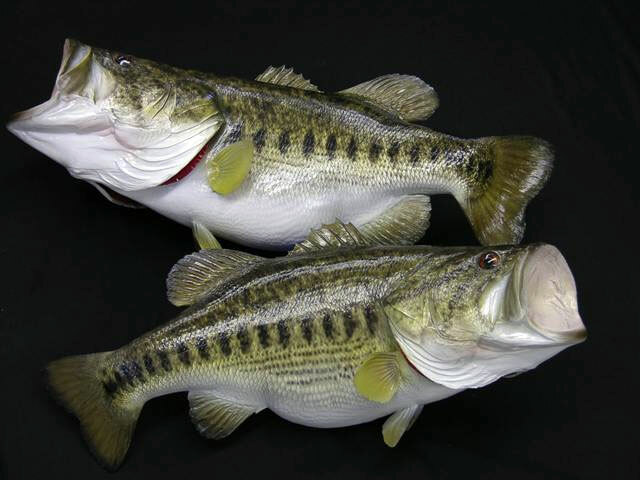 Largemouth bass live 16 years on average, though some have been known to live more than 20. 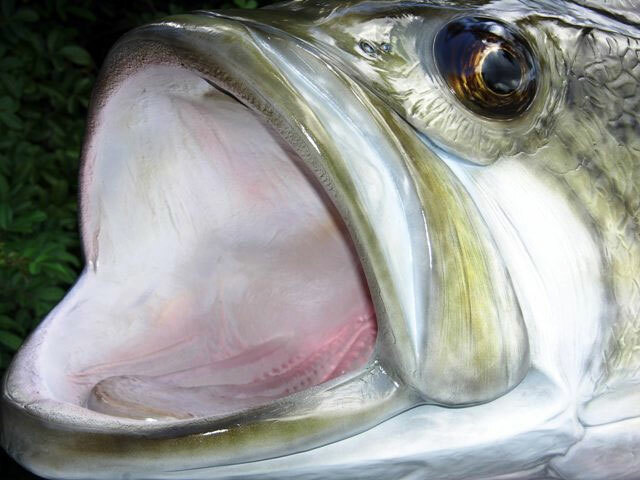 To most fishermen, a 5-pound bass is considered large. 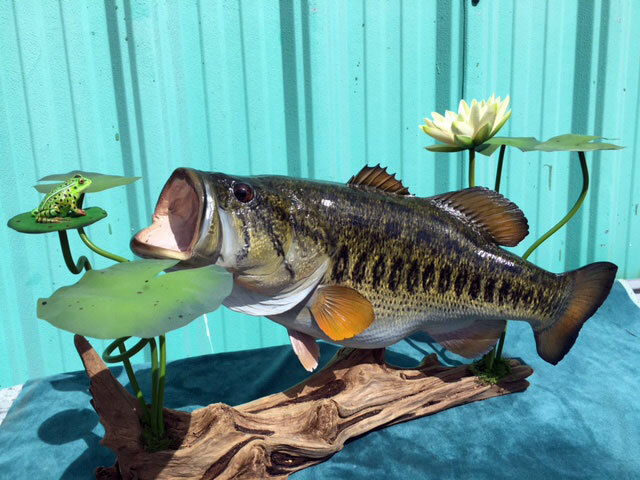 The world record is 22 pounds 4 ounces. 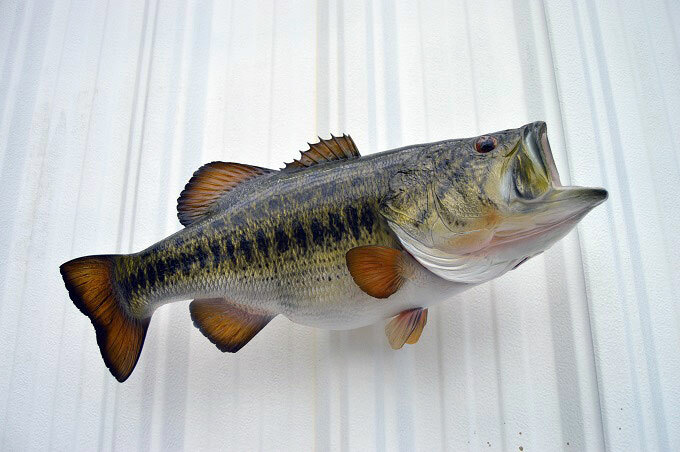 Largemouth bass live longer in the wild than in captivity. 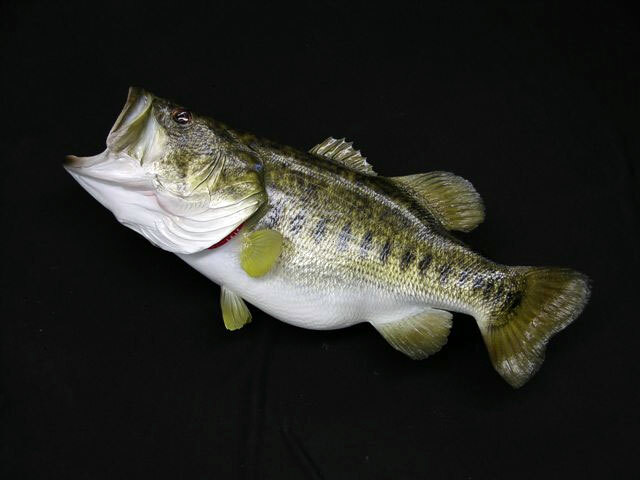 Largemouth bass are a very aggressive fish and are known to strike at nearly anything they consider alive.